I love salmon. 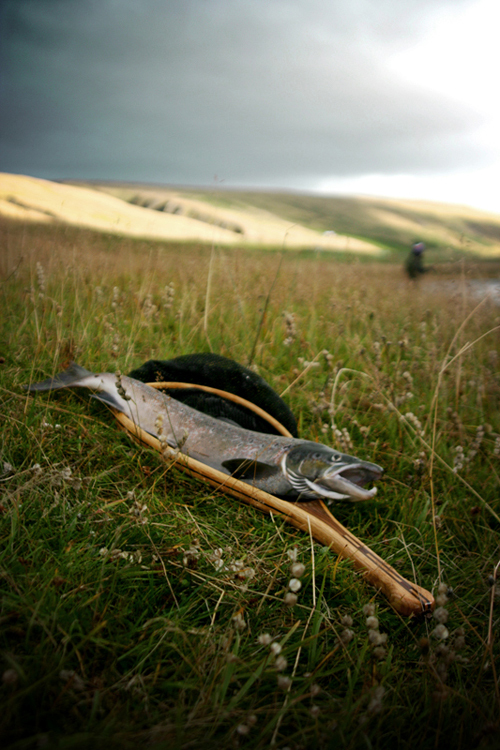 I love going salmon fishing but it is rather expensive to go salmon fishing here in Iceland. One day in a decent salmon river like the one that is close by where I live can costs about 1000 $. So I just go to the store these days and buy my fish there. The other day friends invited us to dinner. They were smoking salmon on the bbq. 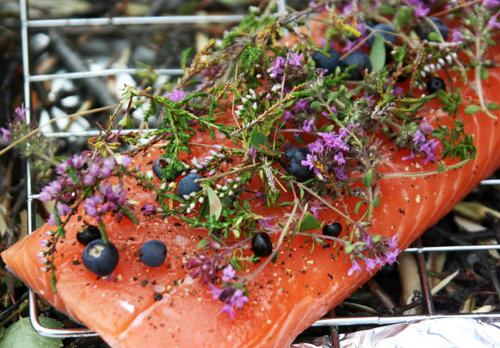 We were at their summerhouse so they used what was around in the yard to spice up the fish, thyme, blueberries, crawberries and smoked it with birch. You can use f.x a metal cookie box to smoke it in. Put the birch you chop down on the bottom of the box, then the salmon on the rack, the lid and then seal it with aluminum paper. Cut some air holes on the sides. Smoke it for 20 minutes or so on your bbq, until it´s cooked all through. Cut the birch into little peaces and put it in the smoking box. 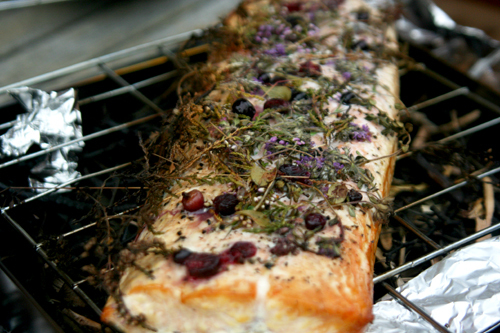 Put some salt and pepper on the salmon and but the berries and the thyme on top o the fish. Seal the box like I mentioned. 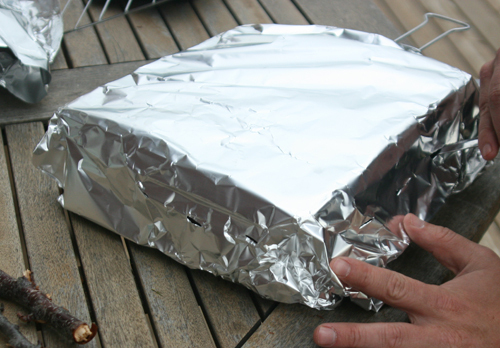 Put the box on the bbq, close it and cook the salmon until it´s done. About 20 minutes in this case. 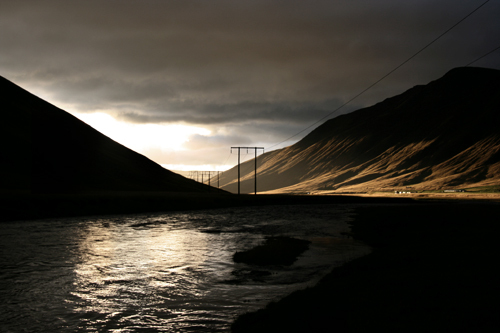 On of my favorite salmon river in Iceland is called Svartá, that means Black river. i love salmon, looks delicious ~ is the last photo of a net used to catch the salmon? Yes, that´s the net to catch it after you reel it in. That looks terrific. I wish I could get fresh flowering thyme…. Yes, it´s a great herb. My back yard and surroundings is crowded with it. Such a wonderful site. The views remind me very much of the Highlands of Scotland. thank you. i agree. 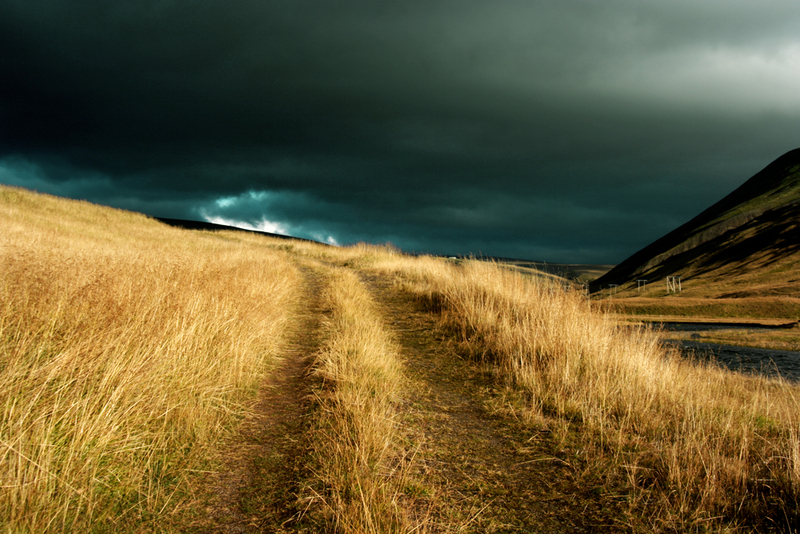 when i see photos from the highland of scotland i often mistake it for iceland.